A week in Nepal is designed for those kind of travel in Nepal who are looking historical and cultural sightseeing in Nepal, collect the life time jungle safari tour, day rafting in Trisul river and explore massif beautiful mountain view from short hiking. Kathmandu, being a historical and cultural city of Nepal, is a popular destination for tourists, trekkers and adventure seekers. The city presents a wonderful mixture of Hinduism, Tibetan Buddhism and Western influence in the Valley. Sightseeing tour is to the world heritage sites in Kathmandu valley with English speaking city tour guide by private vehicle, the pilgrimage sites of the Hindus temple Pashupatinath, one of the most important shrines of Shiva. Thousands of devotees, Saddhus (holy men(Baba) are surrounded here, and you can see the cremating system of the Hindus most of the times in the holy riverbank of Bagmati. Hundreds of monkeys are giggling with you and take a time to exploring the surrounding areas, the Bouddhanath stupa a pilgrimage center, which is the most popular and important place for Buddhist. You can explore with rounding prayer wheel and flattering colorful flag with melodious chanting noise, Swoyambhunath stupa; also known as monkey temple covering wide range of area with highest point of Kathmandu valley and enjoy the 360 degrees of valley view. 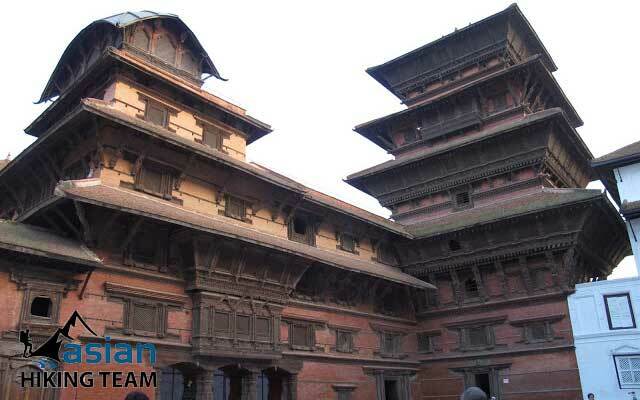 Kathmandu Durbar Square, which is the old royal palace of Kathmandu and can be seen lot of temple, Nepali traditional architectures and another attraction of this place is the Kumari (the living goddess). On the second day, drive to the Trisuli river bank for day raft. Trisul river rafting is graded +3 /4 so it can be made for all adventure seekers. 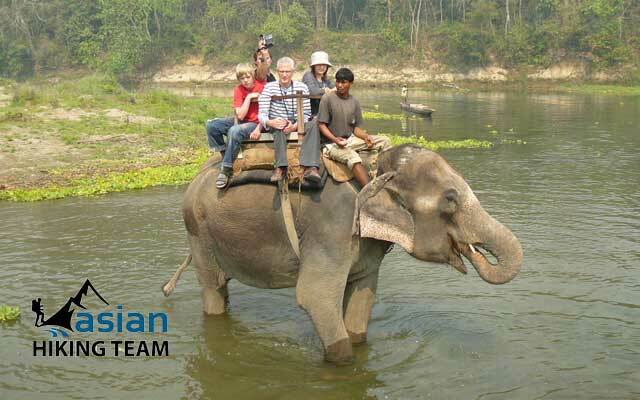 Chitwan Jungle Safari tour is the one the finest safari in Asian. 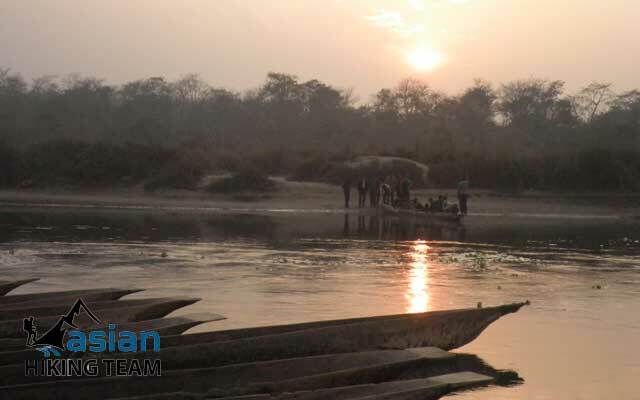 Chitwan national park is home to endangered animals such as the Royal Bengal tiger, wild elephant, the Greater one-horned rhinoceros, swamp deer, and black buck; the other endangered species include Gabriel-crocodile, marsh mugger and Gangetic dolphin. Endangered birds found in the park are the Bengal florican, lesser florican and Sarus crane, more that 30 different mammals, over 230 species of birds and several species of snakes, lizard and fish have been recorded In the park’s forest, grassland and river. In addition to the resident species, several migratory birds visit the park. At last of our trip bring you for Pokhara sightseeing. Pokhara is the tourist paradise so you can explore few days in Pokahara. We do hiking into Damside for sunrise view over the Annapurna, Dhaulagiri and Manaslu ranges. 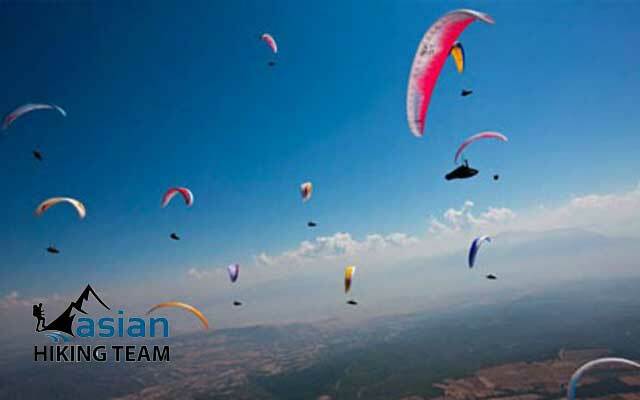 It is possible to combine Paragliding, Altra flight, Zip fly, Bungee. Highlight of trip: Kathmandu sightseeing temple, Stupa and Durbar square,- for cultural andhistorical observations, Safari tour in Chitwan National park, Sightseeing tour in Pokhara for natual beauty, best sunrise view from Damside. Day 01: Arrive in Kathmandu, transfer to Hotel, Overnight in Kathmandu (B). Day 02: Sightseeing in Kathmandu, 5-7 hours, overnight in Kathmandu, (BB). Day 03: Drive to Rafting starting point Charaudi 3 hours drive, rafting in Trisuli River 3 hours and continues drive to Chitwan 2 hours, overnight at hotel/Resort Chitwan, (B/L/D). Day 04: Full day in Chitwan National Park Jungle activities, overnight at Hotel/Resort, (B/L/D). Day 06: Sightseeing in Pokhara, evening flight to Kathmandu, overnight in Kathmandu, (B/L). Day 07: Drop to airport for your own way journey (B). Sightseeing by Toyota/Indica Car in Kathmandu and Pokhara. Tourist Bus ticket to/from Pokhara and Chitwan. Experience tour and jungle guide. National Park permit in Chitwan. All meals during the Chitwan and Pokhara. All Rafting equipment and rafting Lunch. Insurance for Tour Guide and his daily wages. Day 01: Arrive in Kathmandu, transfer to Hotol half an hours drive, overnight at Hotel Kathmandu. Upon your arrival at the Tribhuvan international airport our representative welcomes you and assists to transfer in hotel in Kathmandu, overnight in Kathmandu. Day 02: Sightseeing in Kathmandu, 5-7 hours, overnight in Hotel. After breakfast start sightseeing in Kathmandu valley. City guide bring you in Pashupatinath Temple, Boudhanath stupa, Budanilkantha, Syambhunath stupa, Kathmandu durbar square, finish sightseeing, transfer to Hotel, overnight in Kathmandu. Day 03: Drive to Rafting starting point Charaudi or Fishling 3 hours, rafting in Trisuli River 2-3 hours and continues drive to Chitwan 2 hours, overnight at hotel/Resort Chitwan. Drive by tourist bus to Trisuli river bank for rafting in Charaudi or Fishling. We have day rafting in Trisuli river starting from fishling/Charudi and ending in Mugling, 3 hours. End raft in Mugling, take a bus to to Chitwan, the place call Tadi where our hotel representative waiting you with your name, transfer to Sauraha in hotel, welcome drinks, dinner, overnight in Chitwan. Full day jungle safari tour such as Elephant back safari, Elephant bathing, Elephant bedding center visit, crocodile center visit, jungle walking, village tour, culture programs, bird watching etc, overnight in Chitwan. Day 05: Drive to Pokhara by Tourist bus, 162KM 5 hours, transfer to Hotel. 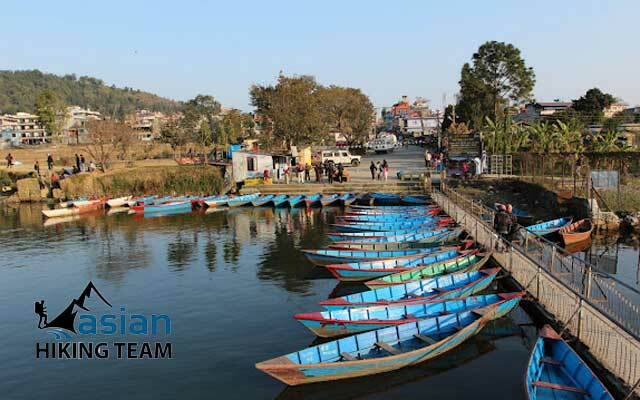 Finished rest of programs, have a breakfast then transfer to tourist bus park in Chitwan, take tourist bus to Pokhara 4/5 hours, upon arrive in Pokhara transfer to hotel and visit in Phewa lake for Boating, dinner, overnight in Pokhara. Day 06: Sightseeing in Pokhara, drop to airport, 25 minutes flight to Kathmandu. After breakfast Sightseeing is starting with tour guide and Car - drive to Mahendra Cave and on the way visit Bindabasini temple. 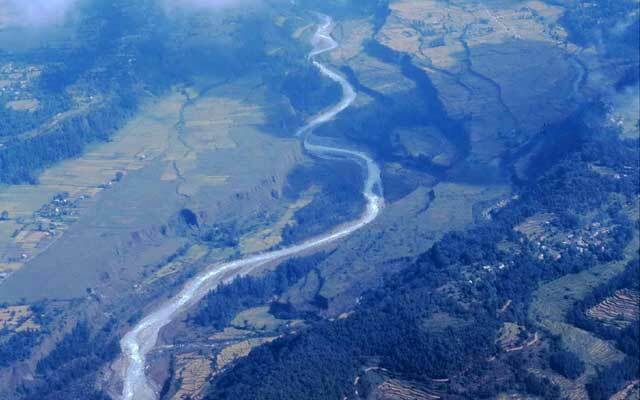 Continues visit Seti river gorges, international mountain museum, Patalo Chhanga call Davi's water falls, than ddrop to airport flight to Kathmandu, transfer to Hotel, overnight in Kathmandu. Day 07: Drop to Airport end your tour, or next trip. As your departure time schedule, our car ready in your hotel, drop to airport for own way journey end trip or next tour.